"Weird Al" Yankovic says he's going to direct a feature film for Cartoon Network. 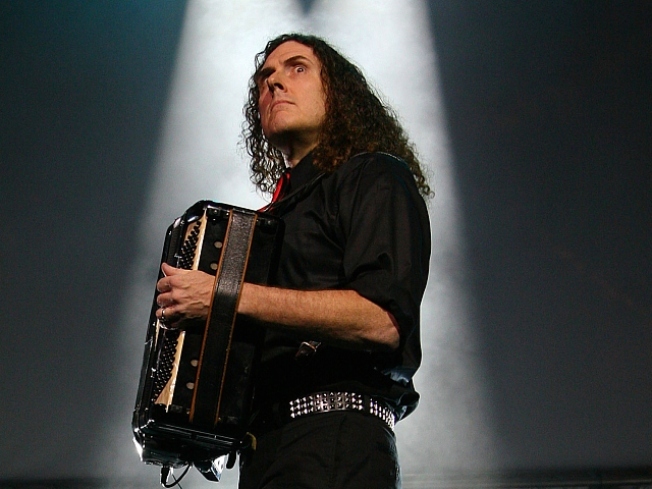 Being a Weird Al Yankovic fan has never really been about the music. It has more been about the spectacle involving the man who mimics everything he sees. Tonight everything from his Coolio impression to his Michael Jackson outfit will be on display when Weird Al takes the stage at the Warfield at 8 p.m. in San Francisco. If you are looking for something a little more traditional than Weird Al's take on music, then maybe the Yoshida Brothers will be your cup of tea. The masters of the ancient art tsugaru-shamisen will perform traditional Japanese folk music tonight at Yoshi's San Francisco, 1330 Fillmore St. in San Francisco at 8 p.m. If you missed the return of 80s rock last week, Blondie is back at the Mountain Winery, 14831 Pierce Rd. in Saratoga, tonight at 7:30 p.m. And just in case you wanted more 80s drama to top off your night, the B-52s will also take the stage.